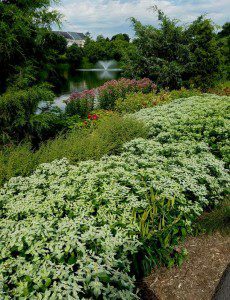 “If you plant it they will come,” to paraphrase a line from the iconic Kevin Costner film, “Field of Dreams.” That was the hope of John Magee, former Horticulture Chair of the Virginia Native Plant Society. 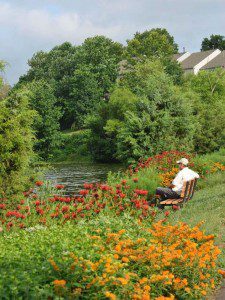 John’s firm, Magee Design, partnered with Ashburn Village in Loudoun County in an effort to revitalize Tippecanoe Lake, one of 8 man-made lakes that dot the planned community in Ashburn, Virginia. Magee’s novel approach was recently honored with a “Signatures of Loudoun Design Excellence” award by Loudoun County’s Department of Economic Development. 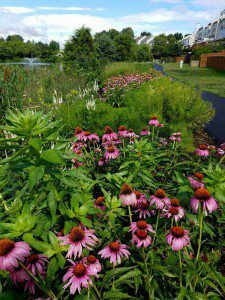 Magee’s goal was to transform the neglected common area around the lake into a native plant and pollinator garden that would attract both wildlife and homeowners alike. 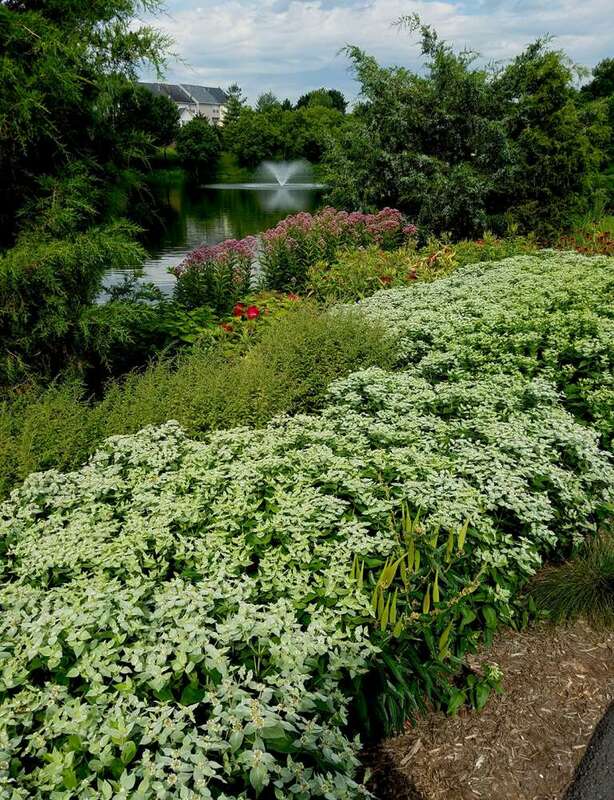 Today Tippecanoe Lake is surrounded by a four-season landscape of native flowers, trees, and shrubs. 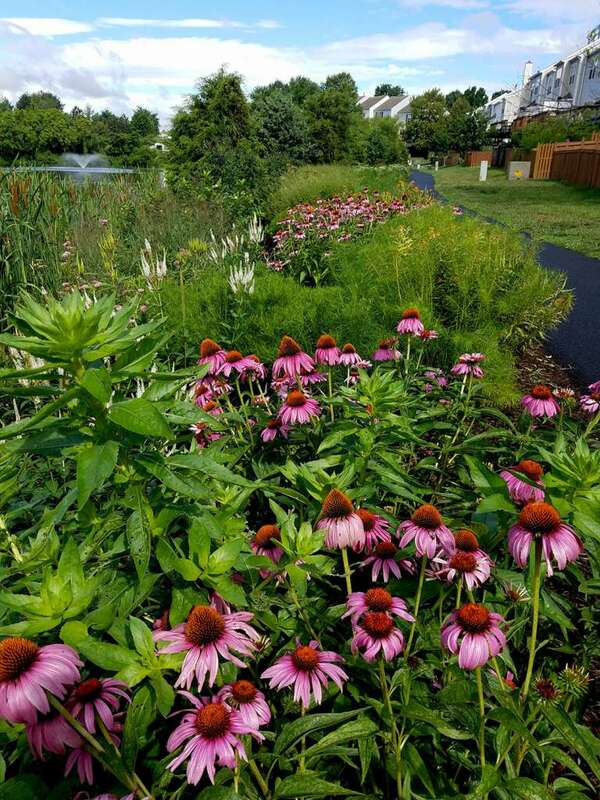 The native plantings wind along one of many interconnected trails accessible to all members of the community. A notable result has been the surge of residents outside enjoying the landscape. The lake is now a favorite destination for families, dog walkers, and joggers looking to reconnect with nature and enjoy stunning views quite literally in their own backyards. “It is our belief that Tippecanoe Lake can be a template and inspiration for other homeowners’ associations seeking to create more environmentally sustainable landscapes in their own communities,” says Magee. The response has been so positive, Magee says he’s already working with Ashburn Village to redesign the other lakes and common areas in the future. Well done, John! I look forward to visiting that beautiful site in the near future!